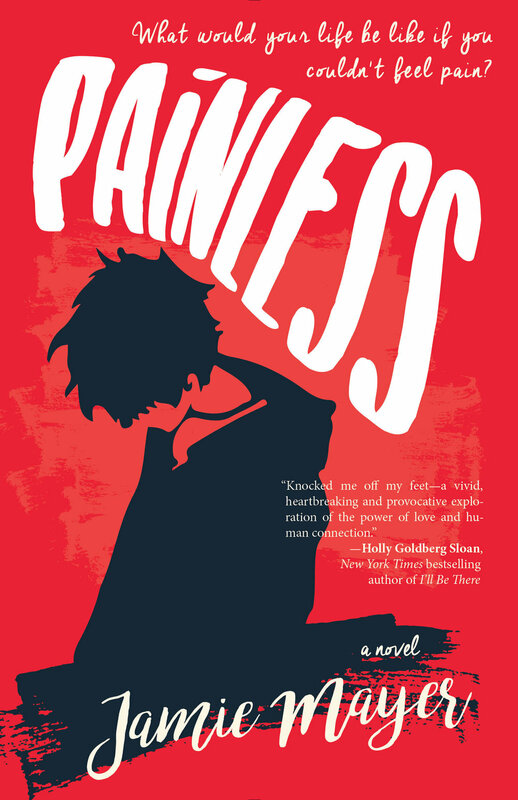 Seventeen-year-old Quinn can't feel physical pain. Born with a rare neurological condition, he's faced accidents and emergency room visits. It's a surprise he's still alive—a fact that has left him to his own devices for most of his life. No school, no friends, no rules. At the mercy of his older sister Caitlin, who has spent the past few years caring for their dying father, he spends his days drinking at a nearby bar, testing his limits, and working on a graphic novel about a mysterious vigilante called Shadow Man. Lately, though, even his art has taken a turn for the worse. On the same day his father dies, Quinn accidentally gets hit by a car and Caitlin decides that this is the last straw. Left with the choice to either find a job and grow up, or be committed to a rehabilitation center, Quinn takes a gig at a local butcher shop owned by the father of a sensitive but troubled girl who often changes her appearance with the flick of a wrist. But the closer he gets to finding stability, the further he spins out of control, as the lines between art and reality continue to dissipate.